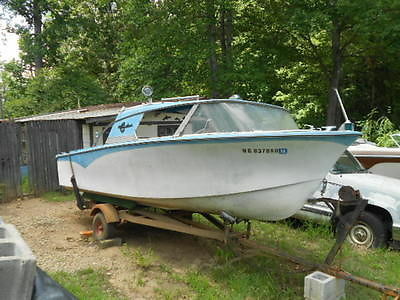 1984 Crestliner V 14 This is a nice little v hull 14 ft Crestliner in very good condition. The motor is a 1994 model in good condition, and the trailer is a 2004 model.in good condition. This boat is light and runs well with the 15. 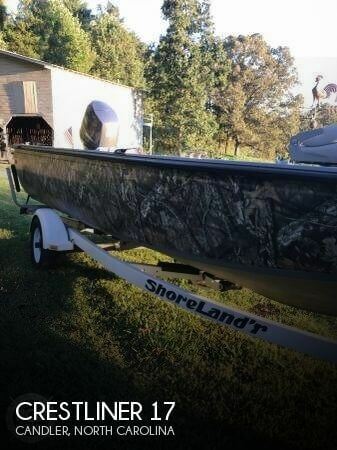 Whether you are fishing, hunting, or riding around the waterways this boat does a great job! 2003 Crestliner Angler 2285 The Crestliner LSi Angler 2285 is both a stately pontoon with luxurious cruising amenities as well as an angling command center that will help fill the 19-gallon livewell, and more to make this pontoon the best of both worlds. The previous owner reconfigured the deck arrangement with a new swing back captains seat and 3 new couches as can be seen in the photos.. He also added new cockpit carpet. 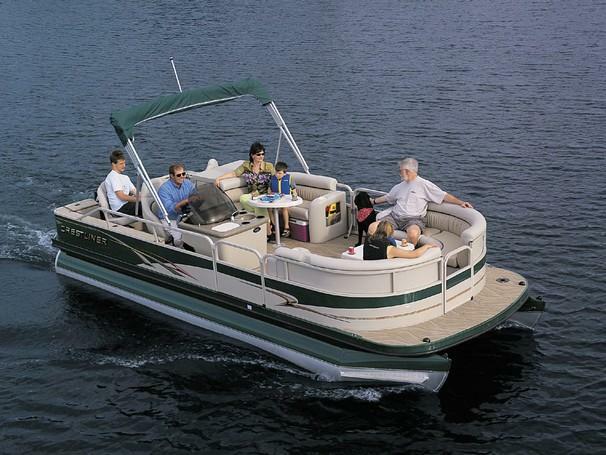 The trailer comes with the boat and is included in the price. Will need all wood replaced as seen in pics.. Appears to be mostly 1/2" plywood.Transom is solid.I have extra box of parts.I believe everything is there,even the little side curtains (good for patterns).Cabin windshield was gone when I got it.Trailer is solid however tires have dry rot.Trailer seems to be period correct but I'm not sure of manufacturer. If going a long distance I would strongly recommend trailering the whole rig. I can help you load.I have no paperwork for either boat or trailer. This would make a great project! Not many of these around anymore.Restored properly this will be a real head turner!Same old story,too many projects so this one has to go! I can store the boat for up to 30 days providing it is paid for in full.If you need more time I'll be happy to work with you.